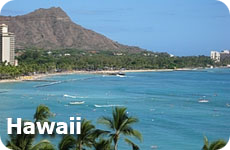 Foxwood Resort and Casino: A great romantic vacation idea with the great restaurants, shows and other entertainment. Foxwood Resort and Casino in Connecticut is one of our favorite Romantic Vacation Ideas. We recently spent our 11th wedding anniversary at the Foxwoods Casino Connecticut. We really enjoyed our time there. See more about our experience here. Recently the MGM Mirage partnered with Foxwoods Casino and branded the new tower the MGM Grand at Foxwoods. They added another casino, more hotel rooms and suites, a 4000 seat theater and more restaurants and shopping opportunities. Overall we really enjoyed our time at the Foxwood resort and casino complex. Our only complaints are that some of the staff are a little grumpy and our feet were sore with how large the property is. Bring your walking shoes! We will go back for another weekend sometime soon. There are lots of activities to enjoy at Foxwoods, although the massive casino is what brings people here. 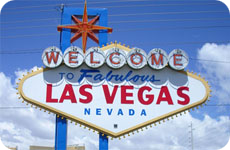 Other than the casino don't miss out on High Rollers, the 20 lane bowling alley, all dressed up in a Vegas decor, the Tree House arcade, Comix the comedy club, the many bars and lounges or the Hard Rock Cafe. Whatever you do, no matter what time of year it is, make sure you take a walk, stroll or hike along the Pequot Trails that you can reach from the Great Cedar Casino lobby. 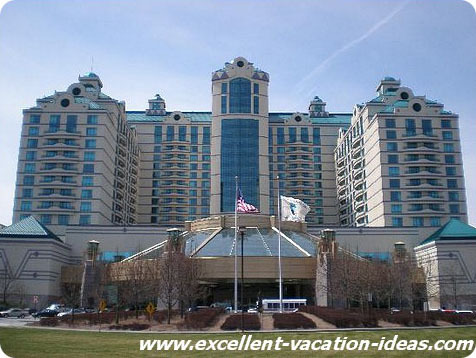 This are is absolutely beautiful and are a "do not miss" when visiting Foxwoods. For our 11th Wedding anniversary, Warren had to spend the the week before it in New York on business. So he invited me to meet him in Manhattan. 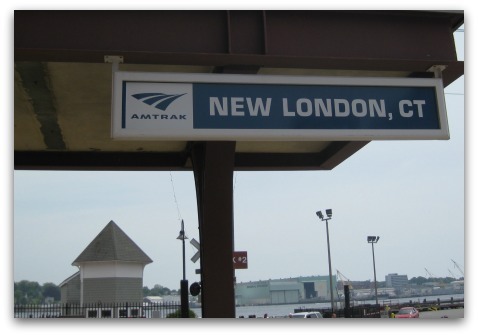 We spent a day in New York City and then took the train to New London, CT. The train itself was an adventure for us, as the last time we took the train was on our honeymoon from Rome, Italy to Nice France. We arrived in New London and then drove for about 20 minutes into what felt like the middle of nowhere. I guess it was kind of like the middle of nowhere for us. Foxwoods casino is located on the Mashantucket Pequot Tribal Nation Reserve. The location is absolutely beautiful. When you look out the back of the resort all you can see is forest. It goes on for miles. I mentioned a couple of times that I felt like we were on an island in the a sea of trees. We met up with our friends from Boston and had a great time with them. Good friends, good meal and good wine. We dined at Craftsteak in the MGM, and I am sorry to say for Vegas, that it was a much better meal than the one in Vegas. So much so that we went back on our last night for dinner! We then spent another 2 nights there together. We dined, we spent time together and of course we played on the tables in the casinos.